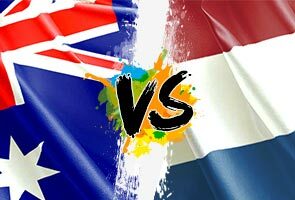 Australia is set face the mighty Oranje on Wednesday. SAO PAULO: Australia's Mark Bresciano Monday promised the youthful Socceroos wouldn't be overawed against the Netherlands after a slow start in their World Cup loss to Chile. Bresciano said Australia "probably did switch off a bit" in the opening minutes against Chile, when they went 2-0 down early on before eventually losing 3-1. But the 34-year-old veteran said there would be no repeat on Wednesday, even against an intimidating Dutch team which floored reigning champions Spain 5-1. "I don't think so," Bresciano said, when asked if there was a risk the team would be overawed. "For a lot of the players, it was the first time to play in a big tournament like this. "We did lose the (Chile) game in that first 20 minutes. We probably did switch off a bit and we gave the opportunity for the Chileans to get on top of us. "But I think this time round, we've all experienced what it's all about and I think we'll be focused from the first minute." Bresciano said confidence was high that Australia could "make history" in their remaining Group B games against Spain and the Netherlands, who contested the 2010 final. But he said it would be hard to stop an extremely dangerous Dutch team, spearheaded by Robin van Persie whose diving header has already gone down as one of the great World Cup goals. "How can we stop them? We just hope that they're not in the best form on the day and we can take advantage of that," said the Al Gharafa midfieler, who is playing his third World Cup. "We just have to be ready to take any chance we have and play as a team and stay solid as a team." Bresciano also indicated no change to Australia's tactic of high balls towards record goal-scorer Tim Cahill, who was on target for a third World Cup with his header against Chile. "I think looking towards the final third of the park, not much is going to change because we do have a player like Tim where, if we do give him the right service, he will be dangerous," Bresciano said. "So that's still something that we are going to try to do as a team, that's provide him as much as we can in the box." Bresciano added that he had no concerns over Algerian referee Djamel Haimoudi, who will be officiating his first World Cup finals match. "I don't know him, but if he's inexperienced hopefully it comes to our favour!" he said.